okay, I actually can not find the real name of this cave. Maybe Ice Cream cave is the real name. Let’s move on. 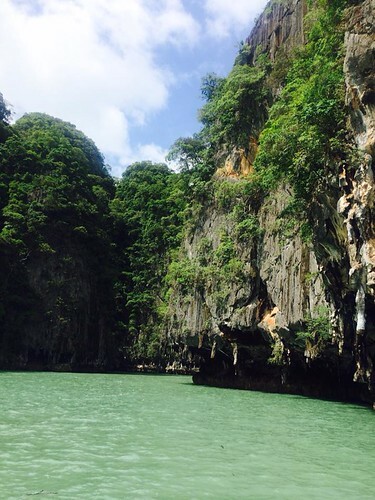 We visited this cave as part of our tour package, and it was a pretty cool experience! I also learned a lot (sort of). 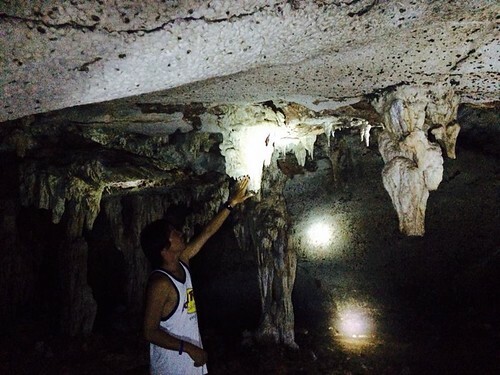 The cave is not that big itself, but there are numerous formations called ” stalactite” in it. hahahahh yeah…not even going to try and act like I know what the hell that is. Yes, this is suppose to look like ice cream. Myy initial thought was it looked like a big walrus, but I guess “Walrus Cave” does not sound as cool as the “Ice Cream Cave”. From there we had to climb a wooden ladder (which was quite slippery) into the cave. Here’s a tip, if your guide says you don’t need to wear your shoes / slippers in the cave don’t listen to them! My friend took their ill fated advice, and had to endure walking over stones and pebbles which translates to acupuncture for your foot for 30 minutes. It’s healthy, but not sure if you can withstand the pain! 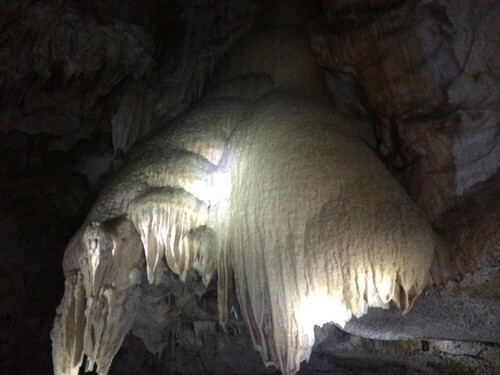 Cool cave! It’s an amazing city, with awesome beaches. Activities there are never ending! As a thailander, you should be the one telling me how it looks like an ice cream!